Indicated for vehicle body work, gutter, furniture, fiberglass and several metallic parts. • Homogenize the Polyester Compound before its application. • Add 1 gram to 3 grams of the catalyst for every 100 grams of the compound. OBS. : The time elapsed from the mixture of the compound with the catalyst to its application should not exceed 3 to 5 minutes. • Apply the catalyzed compound using an applicator (celluloid) in thin layers until the defect is corrected. • Recommended drying time for sanding - 25ºC: 40 minutes. • In the compound preparation (catalysis), use the correct quantity of catalyst (1% to 3%), thus avoiding problems, such as bleeding. • Wet sanding of the adhesive is not recommended, because the humidity retained in the adhesive during the sanding with water may cause problems on the surface and finishing. 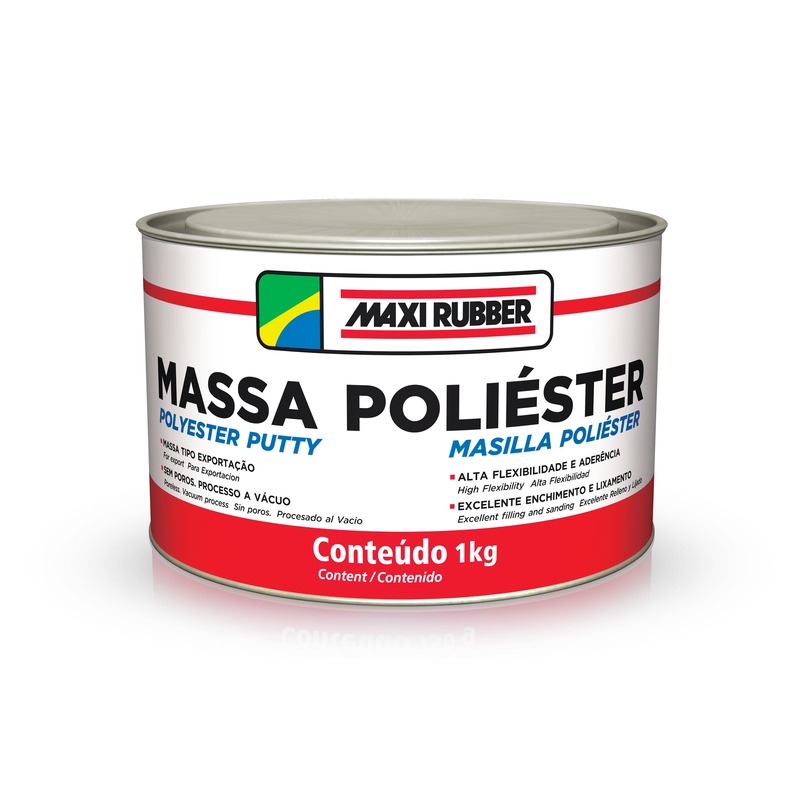 • Isolate the repair location with Maxi Rubber Primer PU before applying the finishing. Polyester Compound: Polyester resin, styrene, mineral load, pigments and additives. Catalyst: Benzoyl peroxide and plasticizers.